The Zen Simple shop is a slightly updated version of the template Simple Shop, which we released in April 2008. 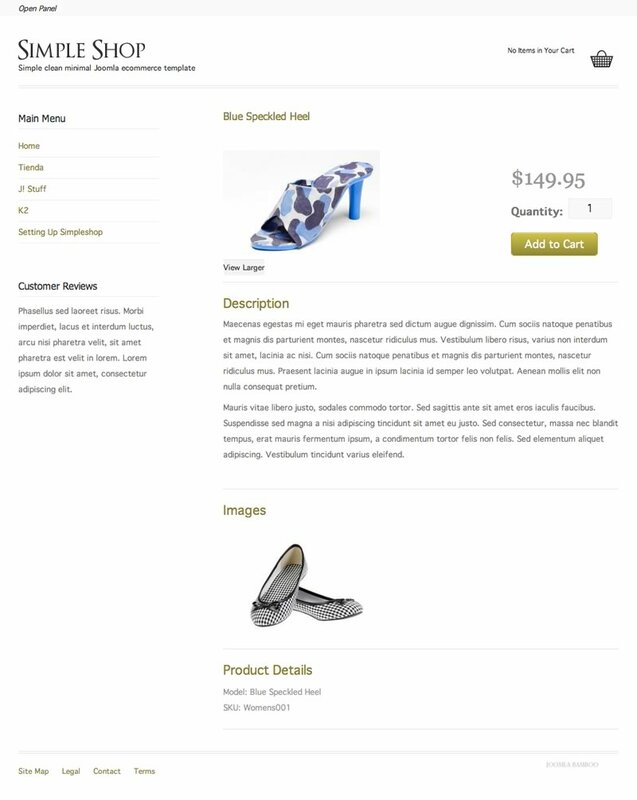 This version uses the Zen Grid framework and component supports online store from Dioscouri, as well as the layout of Avanti K2, which we released in January 2010. Zen Simple shop - simple, clean and snowy white pattern online store for Joomla, which is also very fast and well suited to display your products, blog or any other content.